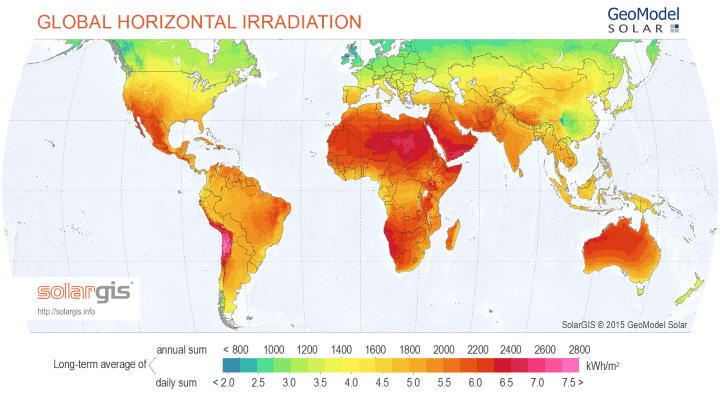 The map above shows the global solar energy potential of the various regions around the world. Unsurprisingly, those areas closer to the equator tend to have greater annual potential than those further north or south. 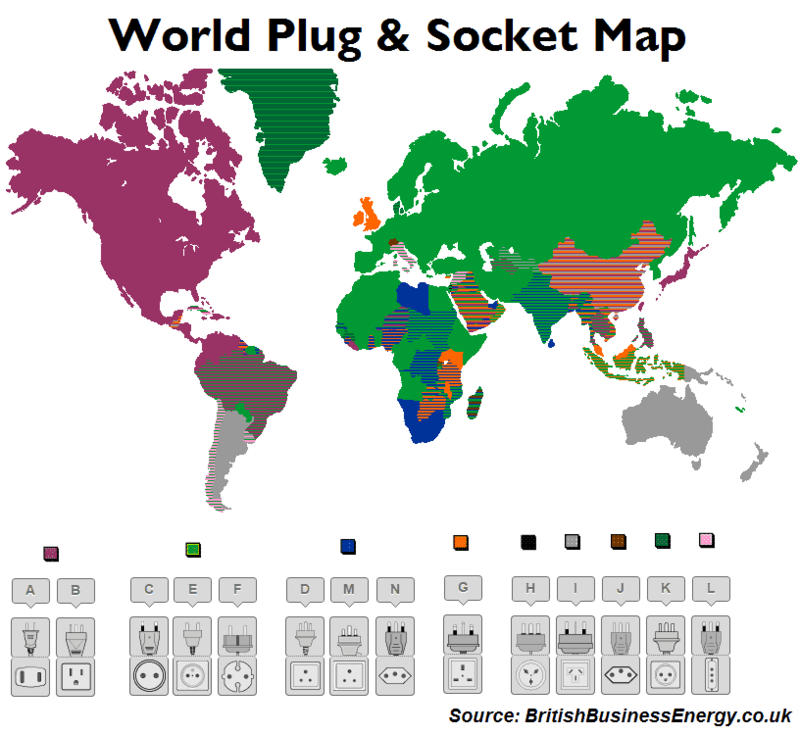 The map above, shows the various electrical plugs and sockets used around the world. As you can see, few countries use just one type of plug or socket. Instead they often use multiple different plugs in tandem depending on location and age of the building. If you’re like most British residents, you likely assume that your electricity supplier is also responsible for distribution. However, as you may be surprised to learn, that’s not the case at all. The UK is not exactly known for its sunny weather. 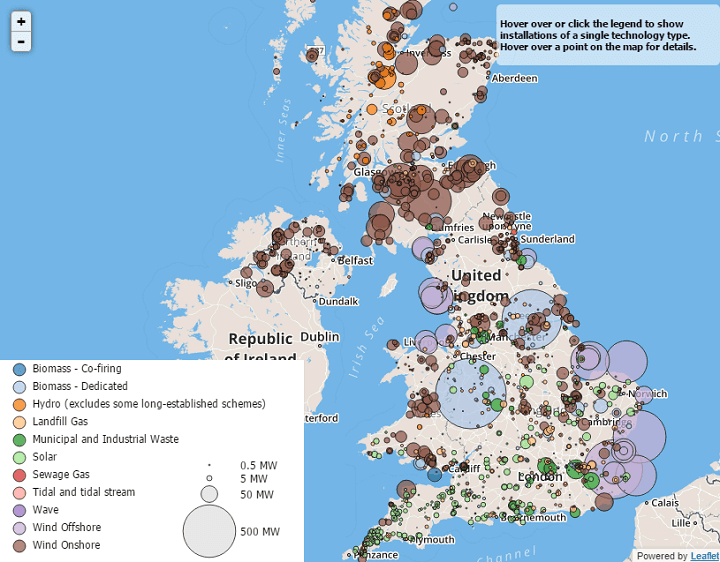 Nevertheless, solar PV installations provide a small but growing share of the UK’s electricity needs. 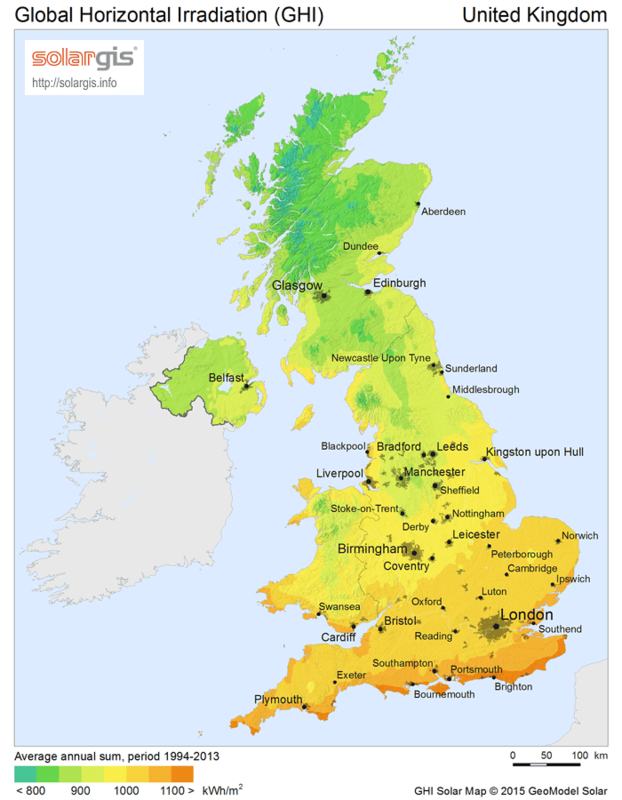 The map above shows the theoretical energy potential of the UK’s various regions.